Hello everyone, I bought this lovely hip flask today and I cant find what the marker on the back, if it even is a marker, refers to. I thought maybe this might be electro plated but im unsure. I purchased it to actually use but im concerned now that the material may have lead in it? Could this be, I know pewter sometimes does. I really appreciate any help with this and if anyway has advice on how I might clean this id love to know too. 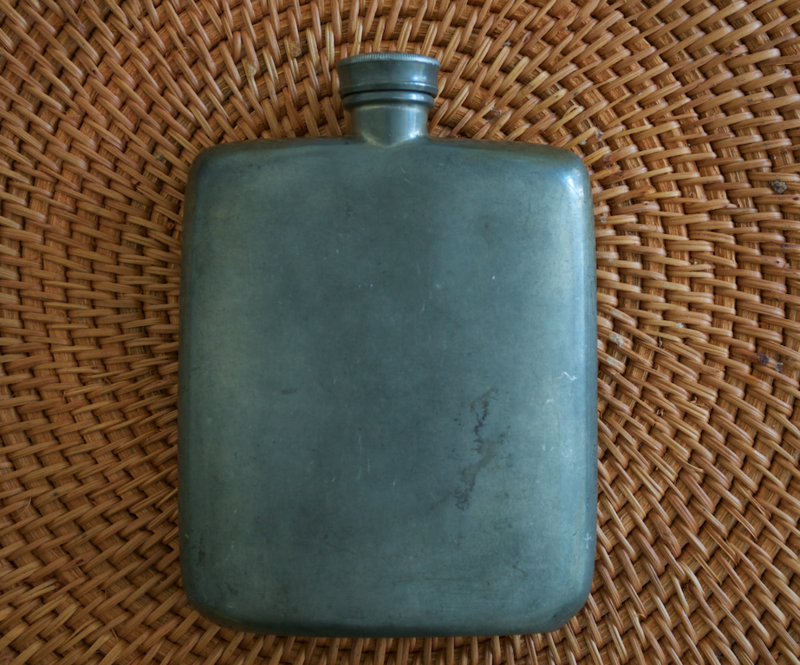 Your flask will have been manufactured out of Britannia Metal. Thanks for that, so theres no lead, as far as I can see on that, would I be correct? Is there a best way advised on how to clean the inside? To my knowledge, Britannia Metal is a alloy of tin, antimony, and copper. As far as the cleaning of the insides is concerned, not sure, hopefully other members may have some suggestions.